is much more than just catching fish with an artificial fly. Flyfishing can be a way of life. It will be if you are ready to learn and to get in touch with the different aspects of this adventurous sport. 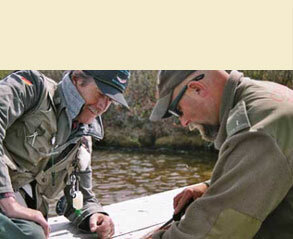 Besides passion and devotion, practical experience is necessary to become an experienced flyfisher. The theoretical aspects of the sport may be acquired by reading books and watching DVD’s. For example entomology of insects is one of many theoretical aspects of the sport. But the very essence of flyfishing is casting an artificial fly. The accurate presentation of the right fly is the key to success. For more than 40 years we have passed on our knowledge and experience of the Art of flyfishing to more than 15’000 flyfishermen; today some of them are working as well known fly casting instructors all over the world. 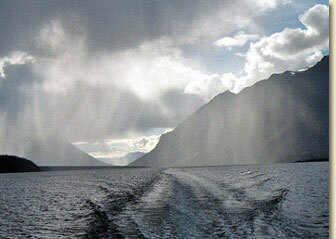 Flyfishing is experienced in an atmosphere of fairness and friendship. This experience can lead you to a point where you no longer feel yourself to be an intruder in, but more as a part of nature. 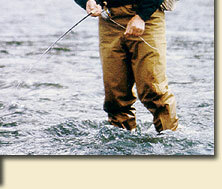 Flyfishing is an adventurous sport too, that can be enjoyed all over the world. No matter whether you are fishing, in Iceland, Scotland or on a chalkstream in England, flyfishermen are part of a living history. 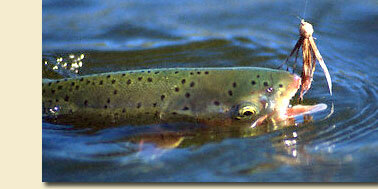 Don’t be an outsider, become a member of the international family of those who can handle fine fly fishing tackle. You can read the classic books from Ritz, Halford, Lunn, Wulff, Gebetsroither and others about the golden age of fly fishing but the timeless fascination of flyfishing is that you too can enjoy it today. We, Heidi and Hans-Ruedi Hebeisen (HRH) have lived our flyfishing passion for decades now, not only in Ireland, but also in Yukon Territory Canada, Alaska USA, Patagonia, Garmisch-Partenkirchen in Bavarian Germany and Gmunden in Austria. The "Art" of flyfishing is something that is easy to learn if you choose a good teacher. We are convinced that with us you have found the right partner to start the adventure of a lifetime. So come on get yourself a flyrod and join us. Live what others dream of.